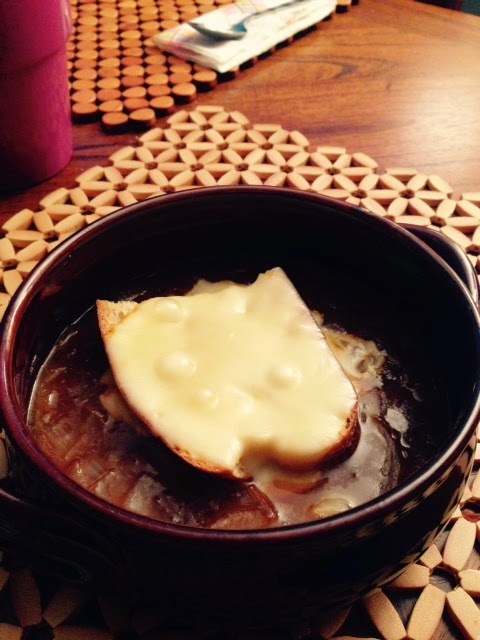 There's nothing quite like onion soup on a cold night. At least that's my onion. Onions. Wine. Toasted bread. Melted cheese. Sign me up. And after our day of relaxation last Saturday my friends and I just wanted to lounge around and do nothing but eat. As an aside, they were pretty good sous chefs. So cutting onions is a problem for me. I cry. The girls can attest to it. It's bad. So I had to bow out halfway through and let Olivia take over. 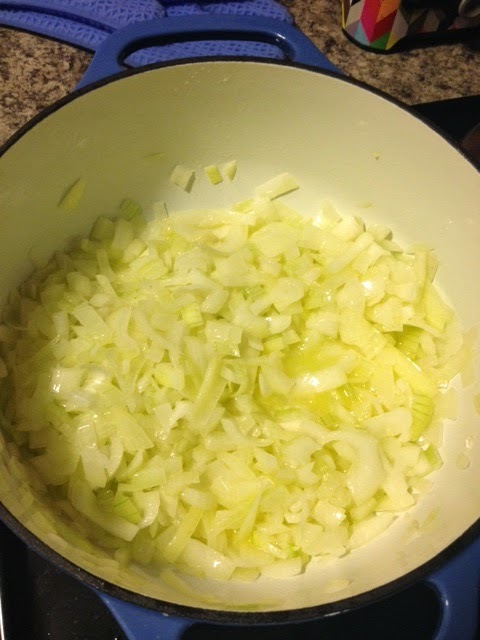 You can cut the onions in thin strips or dice them, it's whatever you prefer. We went with dicing so each spoonful would be easy to eat. 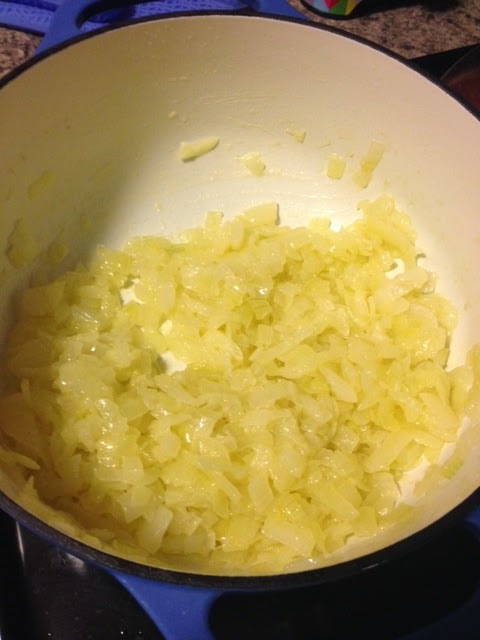 Saute them with the stick of butter, a pinch of salt and pepper and the sugar for about half an hour on medium heat. You want them to be soft but not brown and crispy so stir them every once in a while so they don't stick to the pan. Add in the flour and cook for about a minute so the flour taste can cook out. This will thicken the soup slightly. 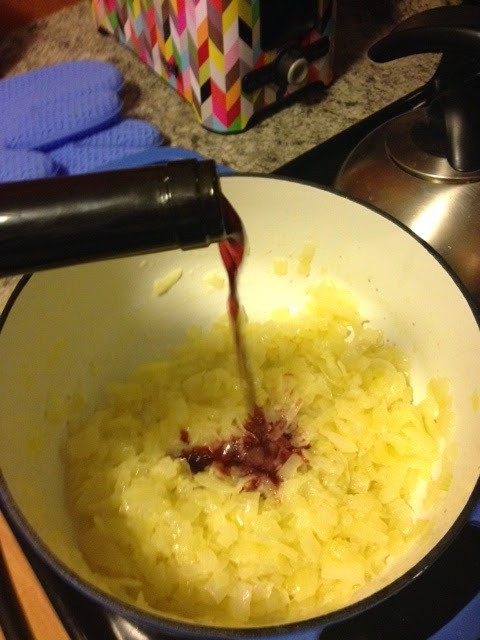 Then add in your desired wine (if you'd prefer a wine free recipe you can just add extra broth and it'll taste great) and the carton of veg stock. 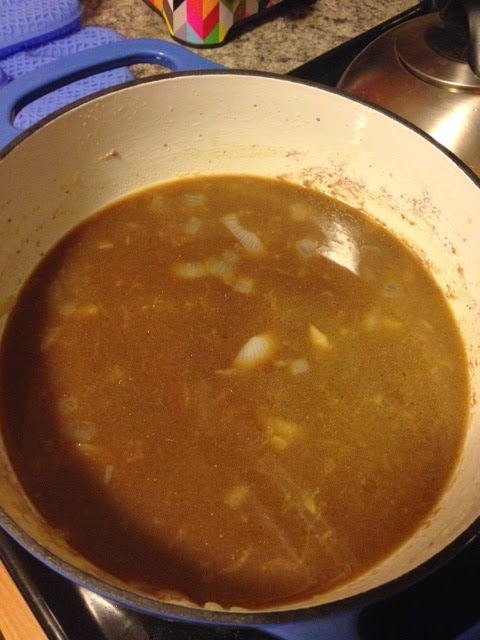 Bring to a boil and then reduce to low heat and let simmer (covered) for 20 minutes. A few years ago I found these amazing clay bowls at Christmas Tree Shoppe. 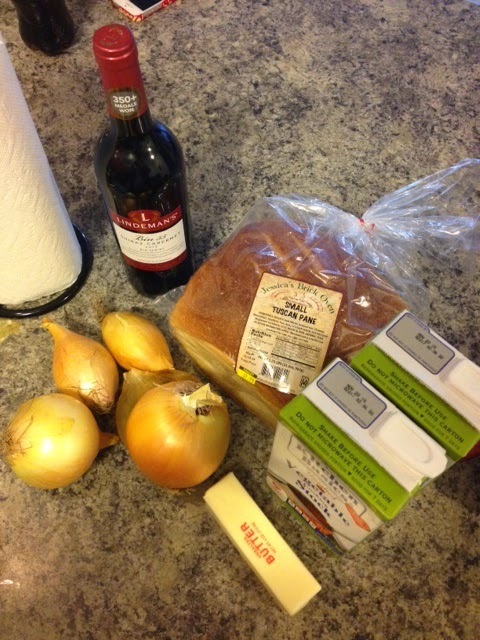 I have used them in the past for onion soup and tater totchos because they can go in the oven. So while the soup is simmering you want to cut up chunks of bread. I don't know why I didn't think of this until now, but it might be a great idea to cut the bread into crouton size so each bite is pre-cut. Anyways, drizzle with olive oil and place on a cooking sheet. Bake at 350 degrees for about 10 minutes until crisp. 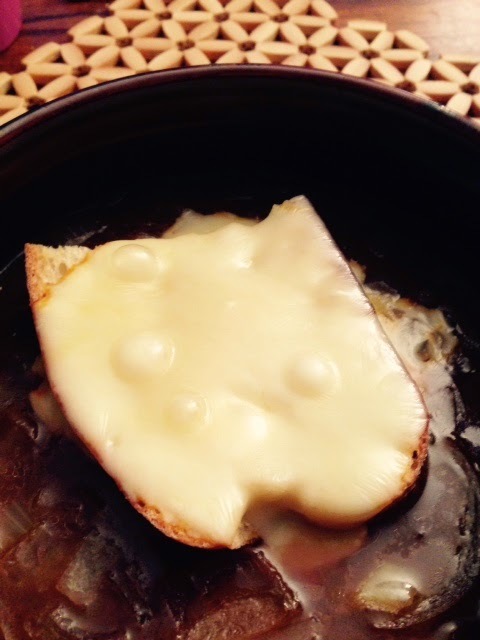 Then when soup is ready, ladle it into the bowls, place bread and two slices of muenster cheese and put it in the over under Broil until the cheese is melted. And serve! 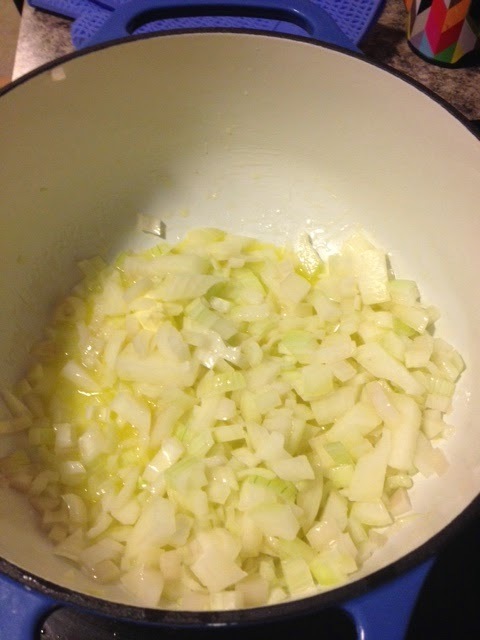 Mmmm… It's so long since I've had onion soup, any soup really, usually I get mine out of a packet I just lazy I guess. Rachel, you should give this recipe a try! It's super easy and worth it for the end product.